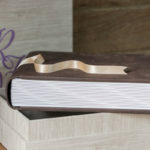 Made of refined Tintoretto paper that enhances the classic character of this product, the passepartout are carefully cut thanks to a numerical control process. 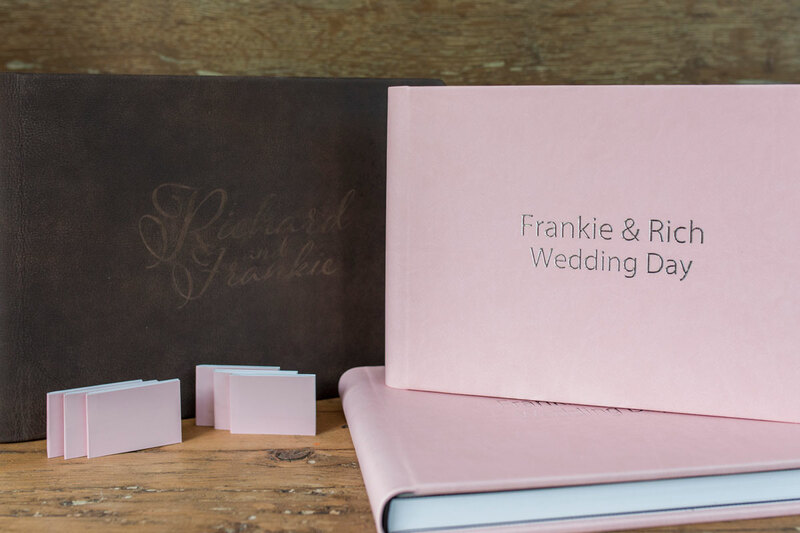 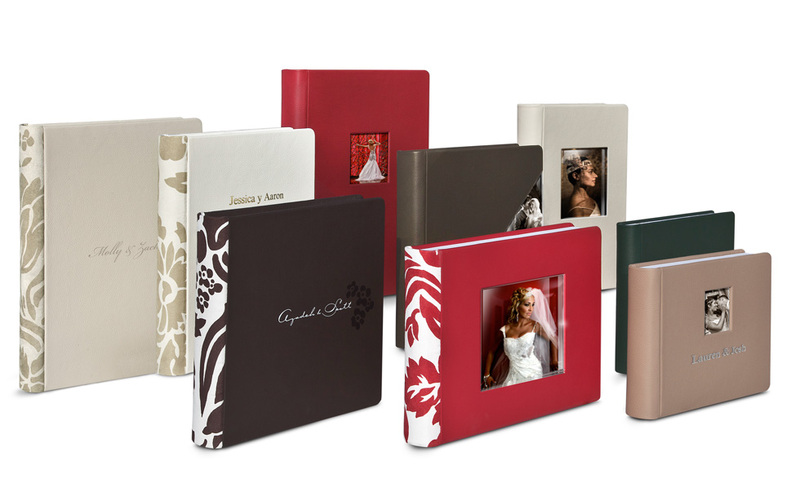 Forget strict catalog settings, our Matted Album allows you maximum freedom of expression by creating openings and, therefore, a unique narrative rhythm for each story. 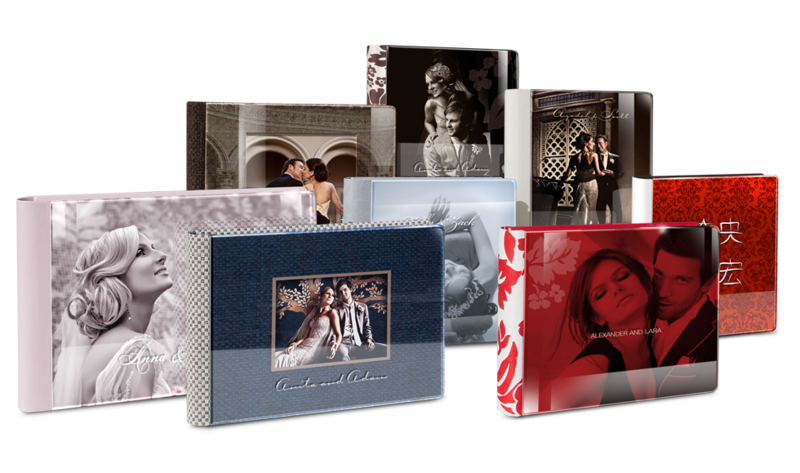 A classic and timeless style enhanced by avant-garde technologies gives life to a product of superfine quality: superior materials, amazing printing quality and accurate assembly make Graphistudio’s Matted Album a benchmark for the entire industry. 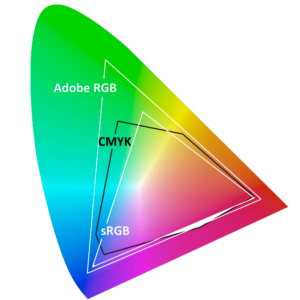 Through its partnership with Canon and DreamLabo 5000 technology, Graphistudio can offer the widest tonal range on the market which covers the full spectrum of Adobe RGB. 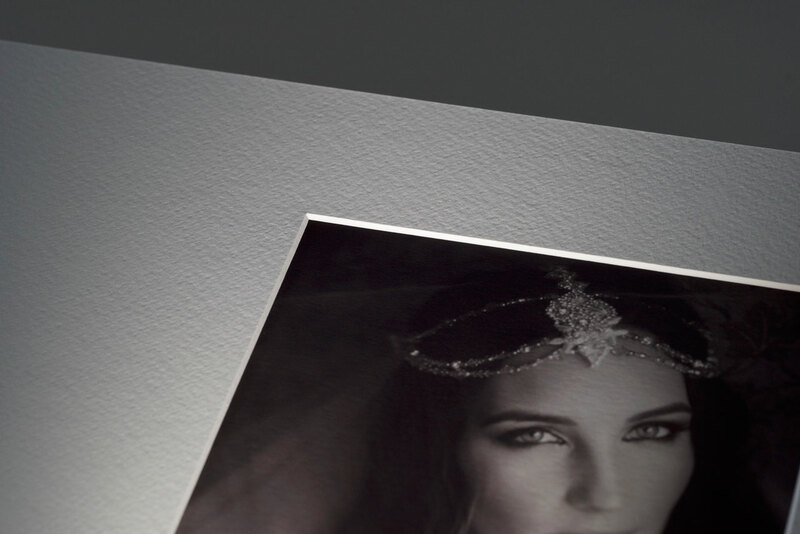 The exclusive Fine Art HD paper, pure alpha cellulose with neutral PH and lignin-free, delivers unprecedented print quality and vivid, intense colours like never before for an impressive visual experience. 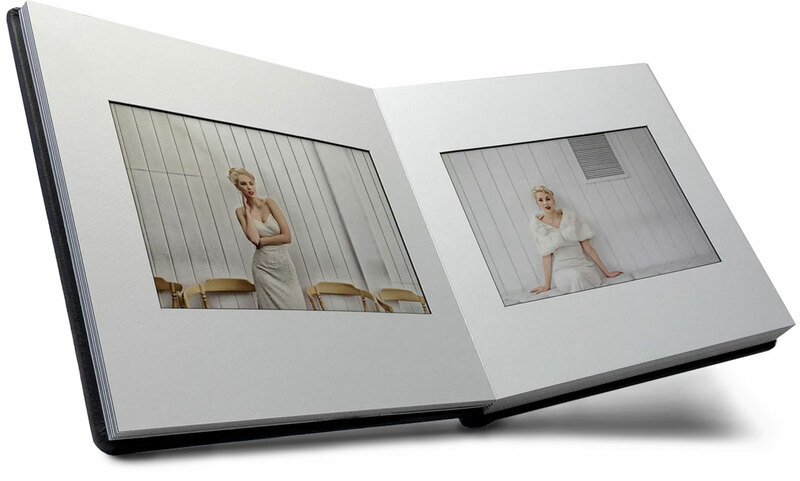 up to 40 pages (20 spreads). 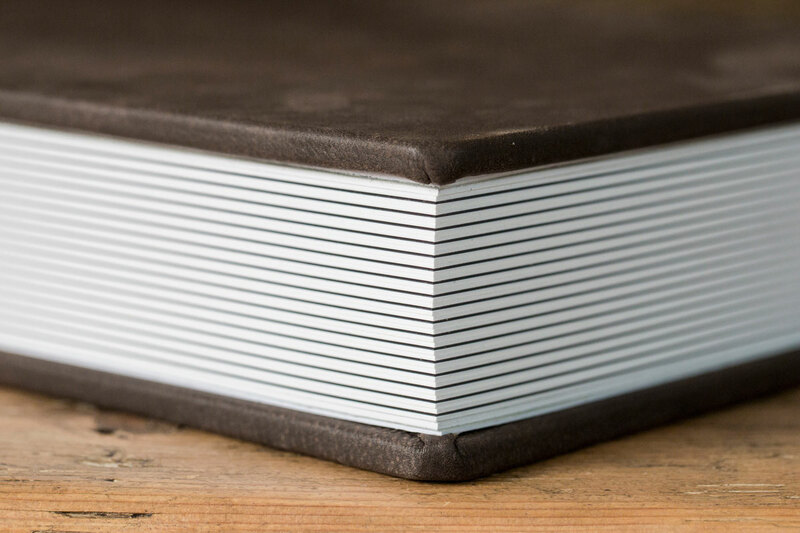 up to 70 pages (35 spreads). 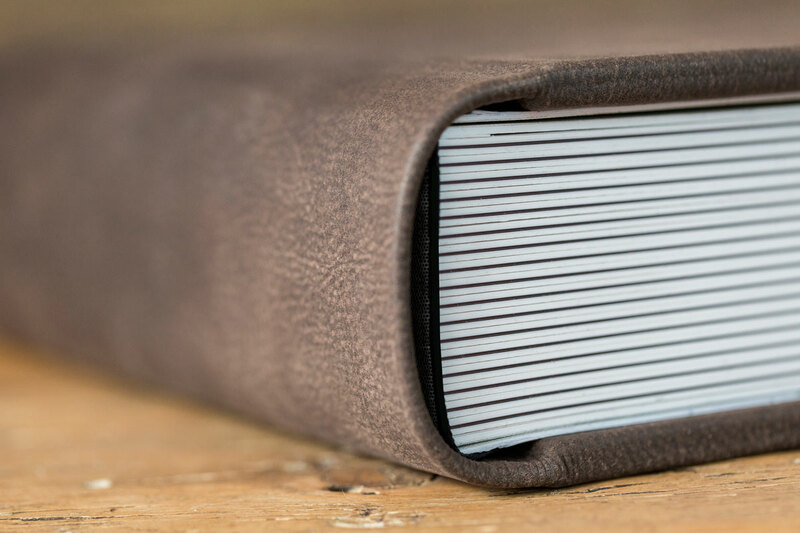 Research and attention to details are the distinctive features of quality products. 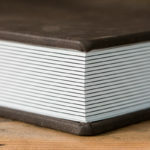 Among these, an aspect of great importance is the lining: the tonal harmony between the outside and inside of the book depends on its colour, while its texture ensures a balanced connection between the precious materials of the cover and the finishing of the pages. 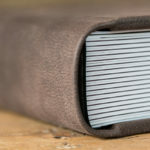 In addition to these specific aesthetic reasons, linings also play a crucial role in the mechanical connection between the cover and the book block and for this reason only the best fabrics can perfectly perform this delicate function. The colour palette available is wide, as is the precious and varied range of yarns and weaves. 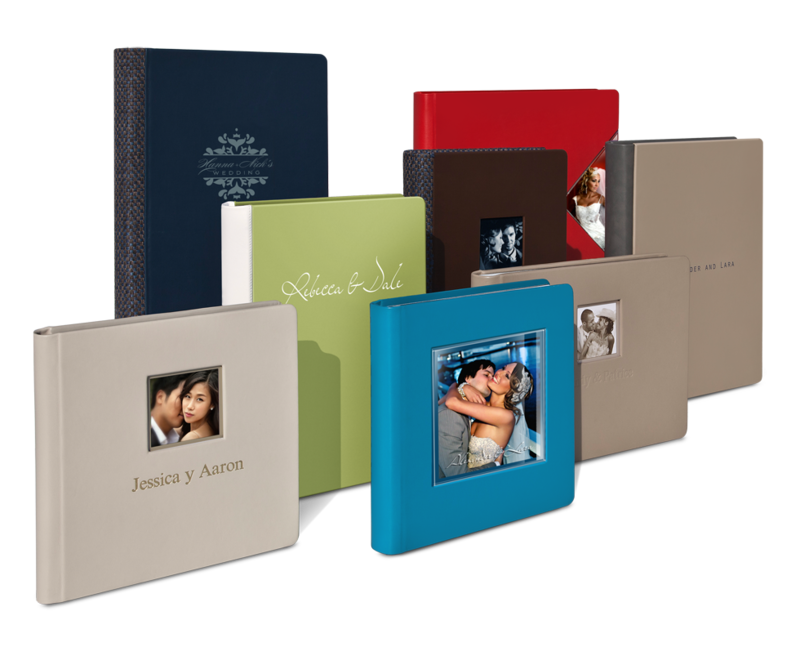 The Matted Album is of course compatible with the entire range of Graphistudio covers, allowing the perfect color and style combination with the themes developed in the book. 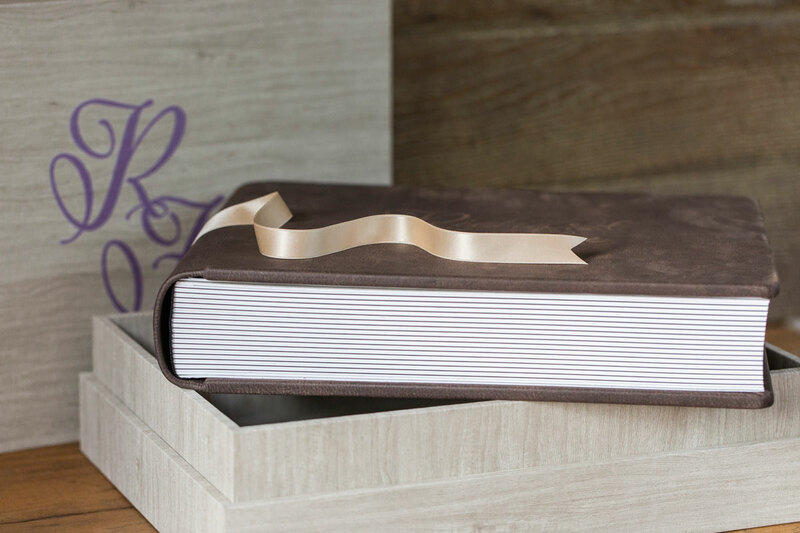 In the same way it is possible to further enrich the cover through the customizations: debossing, laser engraving, colour overprinting also with raised varnish, sublimation and raised foil. 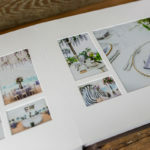 The pages of the Matted Album can be chosen from the wide range of papers available: not only the classic silve halide technology (Lustre and Metal) or Indigo (Smooth, Textured, Pearl and Photo Lux), but especially the innovative Canon HD printing. 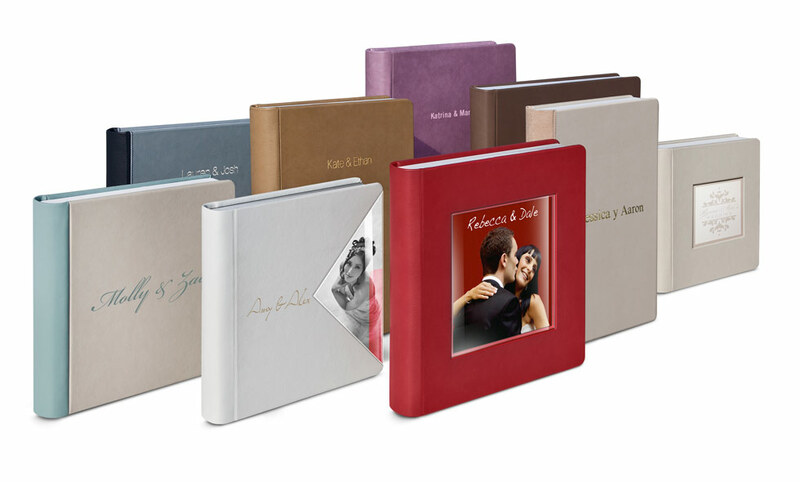 In the Matted Album, a thin or beveled mat is applied over the page of printed images. 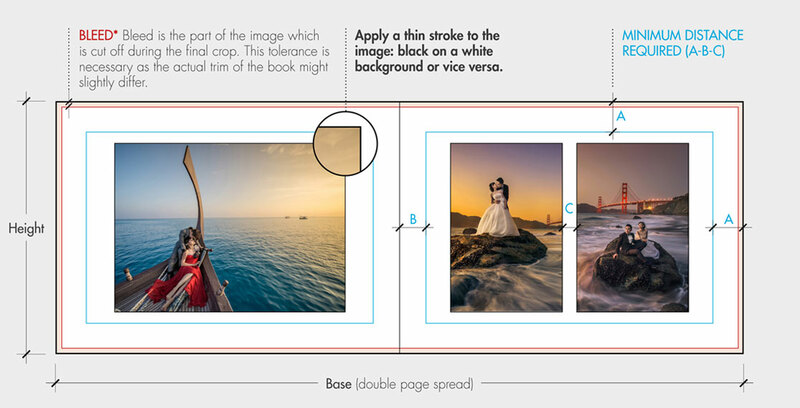 The process of cutting the mat openings is done with maximum precision to correspond to the layout of the images. 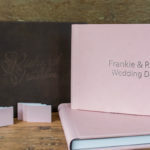 The layout is not subject to any fixed template and can be prepared with any software, Photoshop and InDesign included, by simply applying a thin. 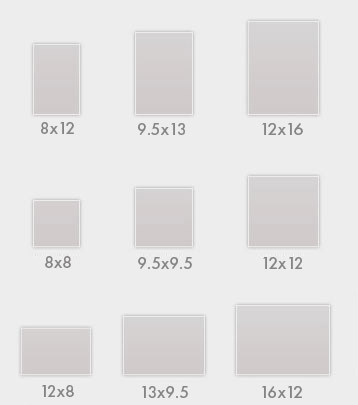 border around the images per the specifications below. 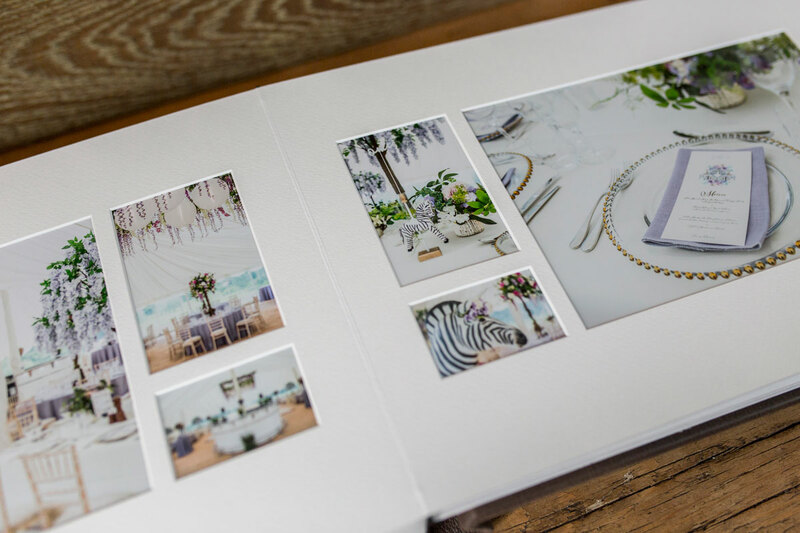 Files can be uploaded as PDFs or JPEGs (see our Print & Bind document for all the relevant details). 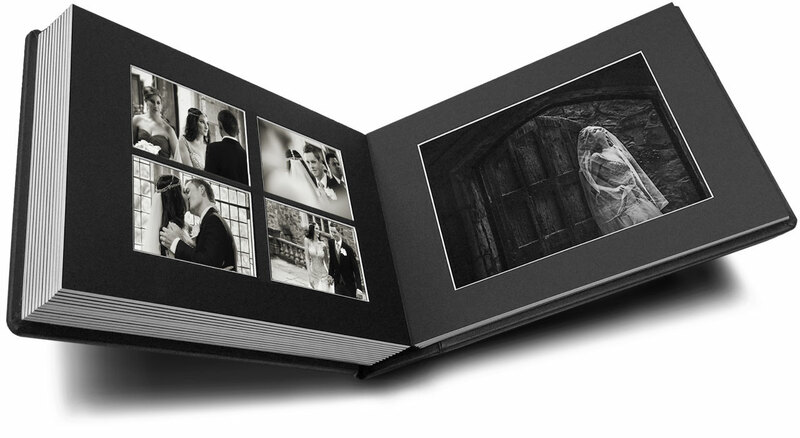 By using Graphisoftware 6.2.0, you can design the Matted Album as you would any of our other books, simplifying the process (see Graphistudio 6.2 pdf). 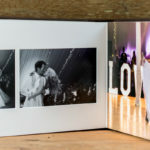 The aperture will be 1/3 of inch smaller than the actual dimensions of the image in order to ensure the perfect superimposing of the mount on the perimeter of the image. 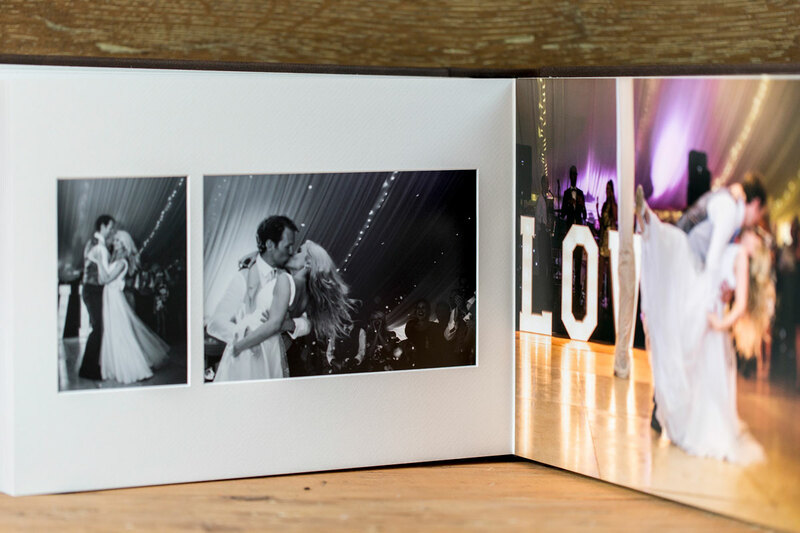 The Matted Album with thin mounts can include up to 70 pages (35 double spreads), the one with bevel mounts up to 40 pages (20 double spreads).